Some of them seem to have heard of The White Stripes, or have heard a guitar riff at a sporting event, or in the case of my middle- aged friends, they know the song “We’re Going to be Friends” remade on the Curious George soundtrack. 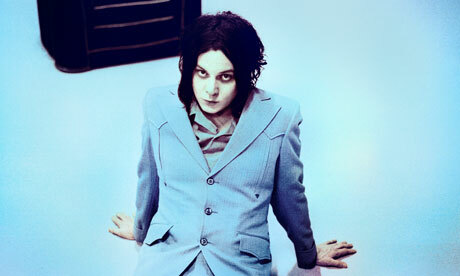 So, if you don’t know Jack White, please do not read on. I don’t want you to know. Because he might be the last of an endangered species: Rock God. And I was able to go see him at a (relatively) small venue in NYC. The Roseland Ballroom on 52nd street holds about 3,500 people for a concert. Jack White III’s show here sold out. The Alabama Shakes opened up, but I missed them. Jack started promptly at 9:30 p.m. due to the simulcast of the show on SiriusXM satellite radio. I was parallel to the stage and at a position about equal to third row when the stage lights turned on and the crowd erupted. The people around me pushed forward and I ended up with a great view of the performance. The Peacocks have a wonderful chemistry. Carla Azar on drums made me all but forget about Meg White. The intensity showed on her face as she banged away at full throttle. Meanwhile, Lillie Mae on the fiddle skipped and smiled like a little girl unaware of the eyes fixed upon her. The encore was shocking and felt like a once-in-a-lifetime event. To my amazement, some people were actually making their way to the exits. Had they never been to a concert? Oh well, I was happy my vantage point improved. Everyone was looking at the stage when a shot of light came from the right side. The scream of Jack White’s guitar followed and a rush to a second hidden stage with Los Buzzardos at the ready. The energy was electric. The earlier set was great for foot tapping and head nodding, but this set was pure power with Jack’s guitar ripping through the audience. The crowd erupted in a fit of jumping, arm waving, screaming. Some even made it onstage. When it was over we just looked at each other in amazement. As we slowly made our way back into the New York night with the crowd, we felt priveleged, knowing that we would probably never see anything this close to artistic perfection ever again. 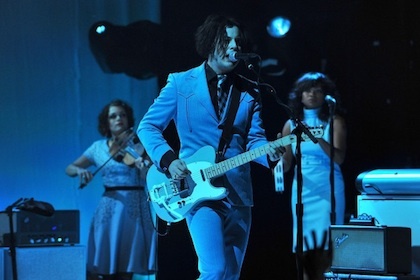 So I’m fine if you don’t know about Jack White, because it’s the only way I’ll get to see him like this again. Jim Lichoulas is a music lover, social observer and occasional crowd surfer who enjoys howlin’ in Greater Lowell and NYC.